Watch the Panasonic True Beauty video. 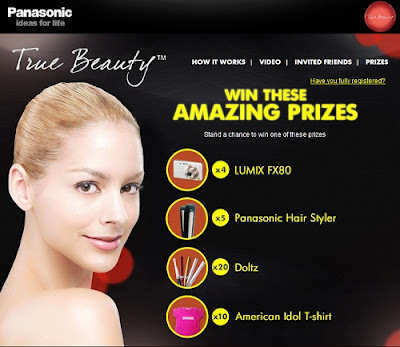 The more impressive and creative your answers are, the better chance of you winning Panasonic beauty products. Inviting friends to take part in this contest. Visit Panasonic Facebook fan page for more details.